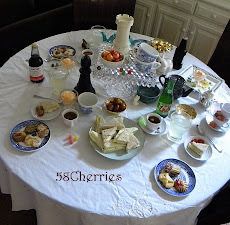 Art, Crafts and Decor by 58 Cherries: Down the Rabbit Hole - A Mad Tea Party!! Hello, welcome all to this year's Mad Tea Party! 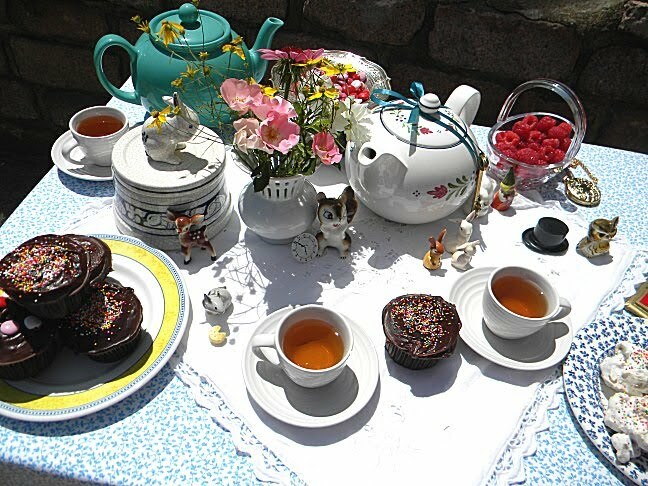 I may mention last year's party once or twice so if you'd like to, feel free to visit last year's tea party first. But otherwise, let me tell you what happened this year! I held them up and wondered where they went to...which one should I try and where was the lock?? 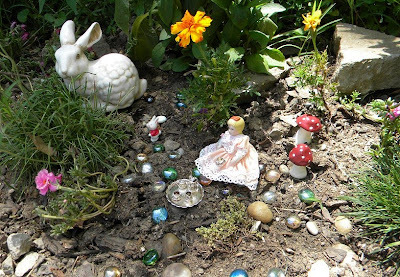 Perhaps I didn't need to search at all for instantly I was transported to a very different garden altogether...a much smaller one with a tea party already in progress beneath the marigolds, the Foxglove and the Desert Roses! Alice was there! And she was sipping tea from her tiny little silver tea set, complete with milk and sugar. Beyond her I spied some red toadstools. She told me I must not dally here long as there was a tea party waiting just for ME! 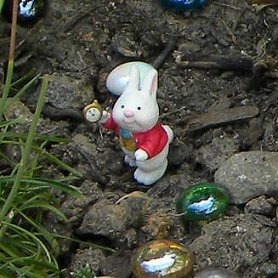 I looked around and saw the White Rabbit and his little watch. "You're late, you're late...we must get going NOW!" he cried. 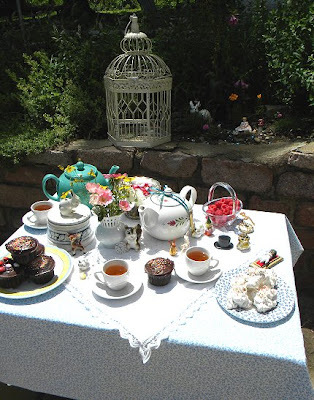 I followed him and was stunned to see I was not very far indeed - just beyond the fairyland tea party I'd found was my very own table full of treats to enjoy!! I was stunned by the variety - two tea pots and several cups laid out. I quickly grabbed a delicious chocolate cupcake with chocolate frosting and multicolored sprinkles - mmmmm! These were even better than the cakes I'd had last year - delicious! And the tea was a delicious peach tea, my favorite! I glanced down and saw a white hand pointing to a plate I hadn't noticed yet. I was busy eating a cookie and sipping tea when I heard a small *squeak! * between the saucer and plate. I glanced down to see a little gray mouse great me, his own treat of Swiss cheese before him. I welcomed him and offered him bits of my cookie and glanced around the table again. There were raspberries and colorful red, pink and white candies as well. 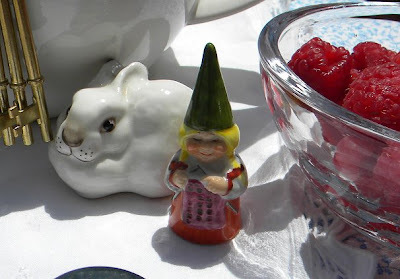 I glanced around again, looking for the gnome who bid me goodbye last time and found, instead, his wife knitting a pink shawl next to her rabbit ride. 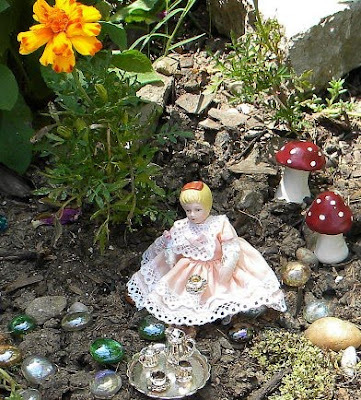 So I hope you all enjoyed my party and just for fun, I'm giving away a little treat - the set of two toadstools from Alice's miniature tea party!! They are handmade from fimo dough and hand painted as well - very cute in person. I made them awhile ago and decided to give them away to one of my guests!! Just leave a comment and I'll have a drawing on Thursday and give them away - hope to see you then!! 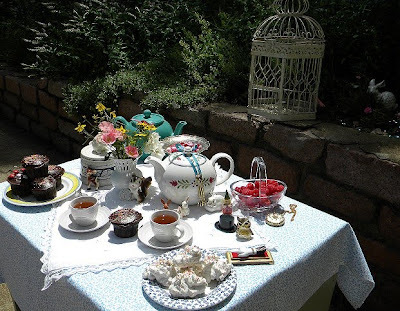 Now travel on and visit the other tea parties on Vanessa's fantastic blog list!!! a LOVELY story! That was really fun. Delightful Party! Got me so ready for all the tea parties! 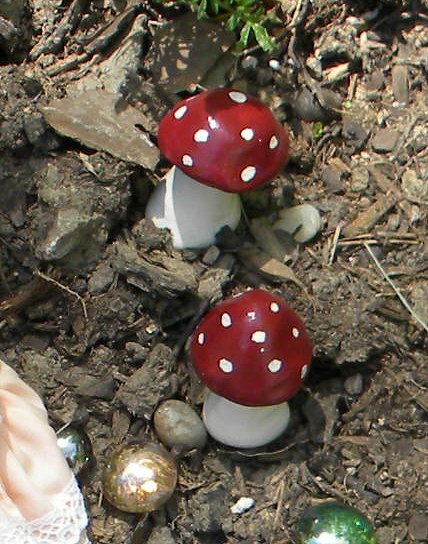 I would just love win the toadstools they are adorable! Oh, what a lovely tea party! I loved all the elements you used in your tea party from the tiny Alice with her silver tea set to your beautifully set tea table! What fun! Thanks for sharing your Mad Tea party with us. I enjoyed my visit and hope you will join me for tea, too! What a wonderful, wonderful tea party! I was so happy a mouse was in attendance. I love mice! Oh. I must confess. I took a bite from one of those chocolate cupcakes. I hope you don't mind. Oh, what a fun party. Love the whole story - such cute little characters! Thankyou for allowing me to enjoy your sun shiny Mad Tea Party. Those raspberries were soooo fresh and juicy...I still have some pips stuck in my teeth (!) and the peach tea was delicious. 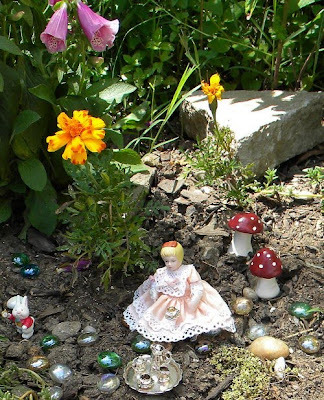 Those toadstools would fit nicely into my Secret Enchanted Forest, at 'green and white garden'...please come and visit me, to share some more Mad Tea. Adorable, Everything was adorable! Have a fabulous party day. I couldn't wait till morning to start visiting the parties. Thank you for inviting us into your lovely garden. Especially loved seeing little fawn there. How sweet! I loved your tea party! I also love the toad stools; very cute indeed. Please come and visit me; I'm also having a giveaway. 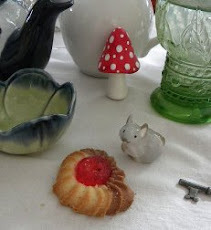 Alice's tiny silver tea set is lovely, as are all the little creatures who helped make your tea party so delightful (to say nothing of the splendiferous fixins -i am intrigued by the cloud cookies with corn flakes? YUM!) and who *doesnt* love a good peach tea? I had lovely time at your party, thank you everso! Great story and lots of fun! I love your Mad Tea! Thank you for inviting me. Your toadstools are precious. I also have a toadstool (and mushroom) making an appearance during my party. Come join us today if you can. Well, must run. I don't want to be late! what a lovely tea party! Your friends are very sweet and your party is lovely! Thank you for the yummy treats! Wishing you a Wonderful Party Day! What a lovely post!Very creative! What a wonderful party! and those raspberries sure do look yummy! Thanks so much for the invite! Just beautiful! lovely history and great pics! 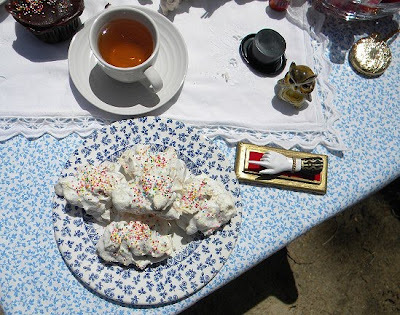 Lovely trip to wonderland - and a wonderfully magic tea party. What a wonderful tea party and the treats were so delicious!! Thank you for inviting us! What a sweet little tea party you happened upon. Garden tea's are the most delightful, don't you agree? Oh! Would you mnd terribly if I helped myself to one of those snowflake cookies? They look delicious!!! Thank you ;-). Happy MAd Tea Party DAy. Hello! So glad to find your wonderful blog. I was doing a little peeking...I'll be coming back for a closer look at things once I'm done visiting all the Tea Party-goers. I really enjoyed your party, thanks so much for having me! There were so many cute little things to look at, loved all of them! I am loving the toadstools. What a fabulous party you are having here. Those mushrooms are lovely! Fabulous that you made them! Delightful! Those raspberries look so delicious. And the toadstools are too, too cute. :) Wonderful party. What a lovely tea. I did so enjoy those chocolate cupcakes with chocolate frosting and sprinkles. That little gnome is a charmer too. Well, thanks for the tea! Off I go to the next party. Ta,Ta! What a beautiful tea! Thank you so much for having me! Charming, absolutely charming!! Thank you so much for the tea, but I must rush to the next party!! Excuse my crumbs! 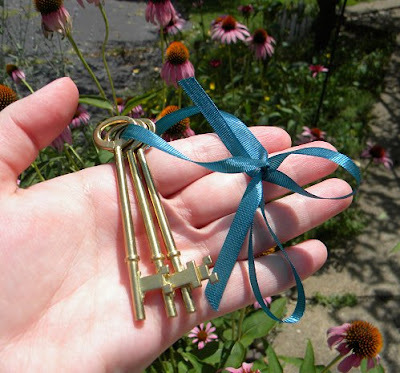 Thank you for a lovely trip down the rabbit hole, and offering your darling giveaway. The fluffy white cloud cookies look scrumptious! Oh my! Both tea parties were so lovely! I believe I need to learn to make snowflake cookies now. What an adorable party! 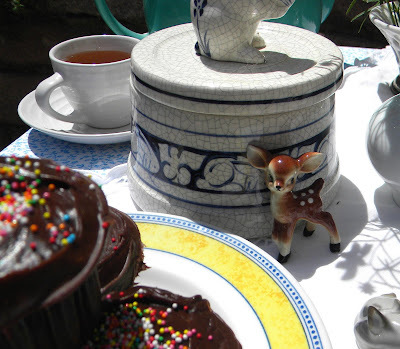 I loved the fawn curiously checking out the cupcakes. O!!! sUCH A DeLIGHTful TEA PARTY!! !Did I see a turquoise tea pot?!!! LOVELY, Everything!!! O! Mushrooms, one of my FAV!!! What a wonderful tea! Very lovely indeed. I love your tiny little tea and doll, so cute. Ahhh... this was magic! Blessings and thanks! Wonderful Party. Thank you for inviting me !! 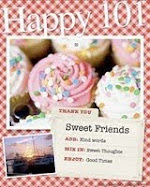 You are welcome at my blog for my party as well and special party favors to win like a $50.00 Visa Card. Simply delightful. 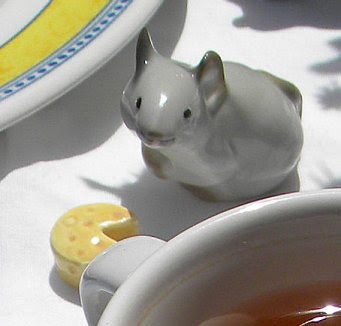 I adore the tiny alice and her tea set. Thanks for sharing and please sign me up for your giveaway. A truly lovely party. All those colors and treats delighted me. What a lovely tea party. I love your tiny guests and I love the story too. Thank you for a delightful Mad Tea party. Your trinkets and characters were so lovely. Thank you for the tea. Scrumptious as it was. 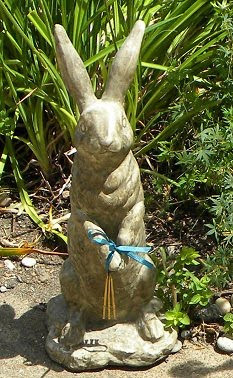 I am dreadfully late....forgive me and visit when you have a chance for a game of croquet! Lovely to visit, Thank you. Got to scurry off, lots to see and do! Deeeeeeeeelightful. However, I am NOT late! I traveled the bloggy list UP...felt so sorry for the XYZ peeps. what a lovely tea party complete with toad stools! Hello! What a lovely lovely party -- again! 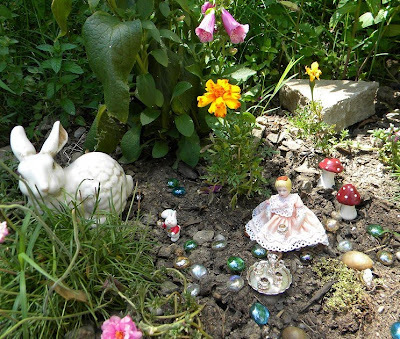 I do love those wascally wabbits and really had a wonderful time with Tiny Alice and the White Rabbit. FUN! Lovely tea party. Love all the guests. So very charming. 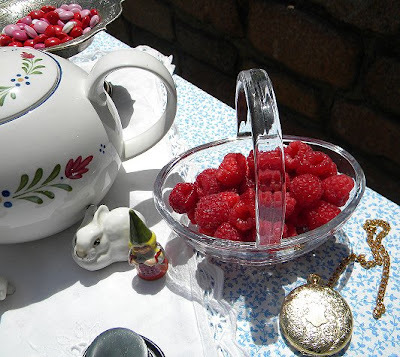 This is so much fun blog hoping to see what everyone is doing for the Mad Tea Party! Looks like everyone has knocked their socks off decorating and baking and setting up Wonderland for all to enjoy! Your Mad Tea Party was fabulous! And the toad stools are so charming! What an enjoyable time I had! Lovely images! How delightful! love the toadstools! What a delightful party and I enjoyed all of your "little" friends too! Thank you for inviting me. Your snowflake cookies are wonderful and your little friends have been so kind. Don't you just love tea parities? What a delightful Adventure! Lovin all your characters, especially the fawn! Thanks so much for having us, Zuni and I had a wonderful time! Your garden is beautiful Nikki!! And the tea party is so beautifully set up~I'm salivating looking at those raspberries and chocolate cupcakes:) Wonderful story and you know that if I was lucky enough to win the toadstools they would be part of my next blog event~they're darling and you did a wonderful job creating those!! I really enjoyed visiting your tea party, so many cute things and I love the toadstools. 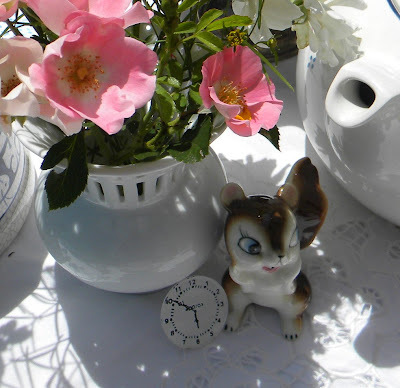 If you haven't already, I would love for you to visit my tea party! I love your miniature tea party! So adorable...and fun! Such a wonderful tea party! 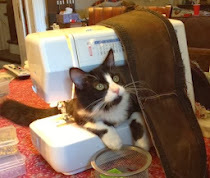 I'm so glad I happened upon your blog! Thanks for having me for Tea! I am still hopping around to parties. What a lovely visit I've had. I am also headed back in time to read your first party. I'm sorry I'm late! My MIL's memorial was on the date of the party, so I'm now just getting my wits together to visit all the festivities! Your party is so magical! I love all the ceramic creations! Thanks for sharing! What a charming tea party. So glad that I stopped by. 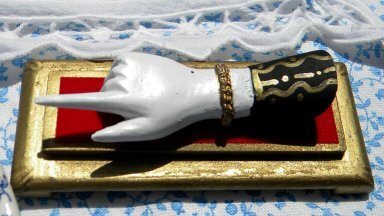 I am having a giveaway on my blog http://treasures-found.blogspot.com. I do hope you will come for a visit! 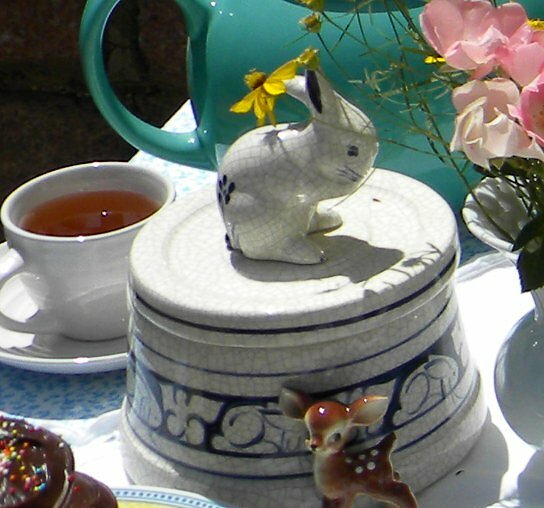 Fabulous tea party, such a gorgeous day for it too! Keep up the excellent fantasy! Wonderful party! I love all of the little friends that joined in! Aren't these wondrous days so fun? 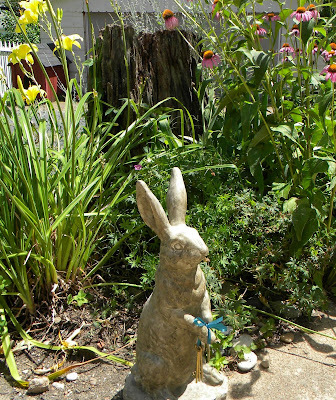 I love your garden bunnies and blue teapot! So sorry for being late! But we see everybody is still partying...we had an amazing time here! Thank you for the treats! In case you haven't yet,come along and have some tea at ours! fabulous!! i love it! you are so creative!! thanks for sharing!! Mmm...smell the fresh baked treats! !